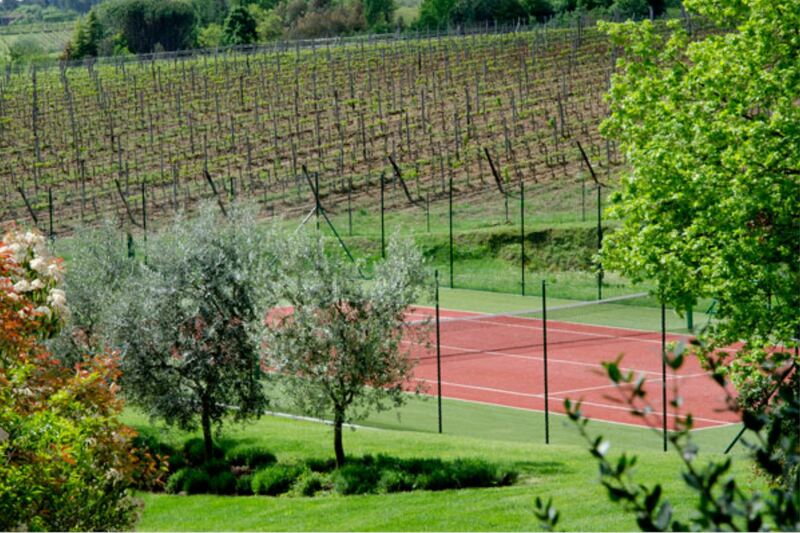 Private tennis court, private pool at your Italy villa. Anyone for tennis? 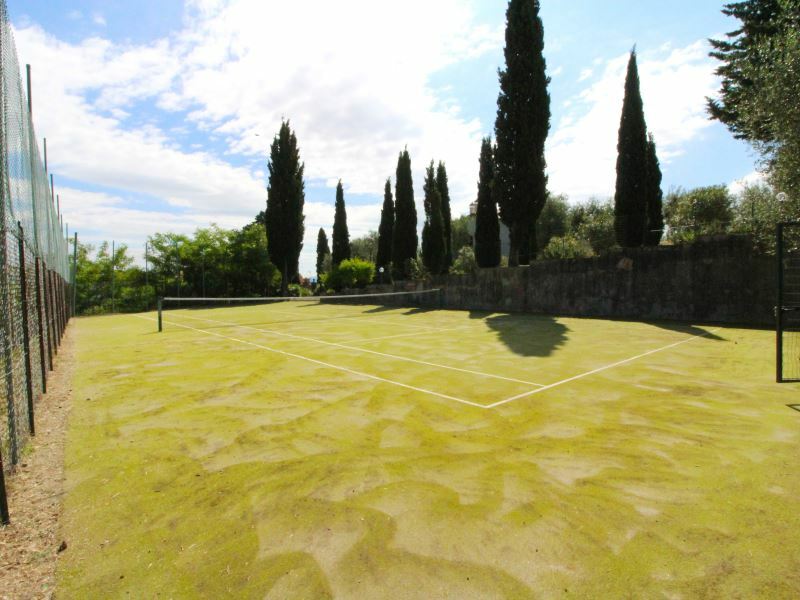 A private tennis court and private swimming pool in the grounds of your Italian villa or apartment. Any questions? Contact us here. 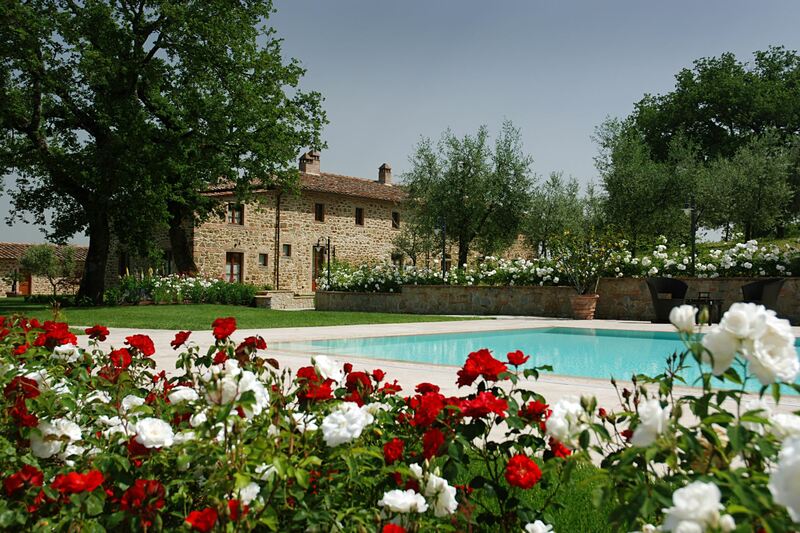 TO SLEEP 8: IL POGGIOLO Private villa with private tennis court and private pool. 500m walk to medieval village of Monte san Savino, Tuscany. Rental prices from Euro 950 per week. 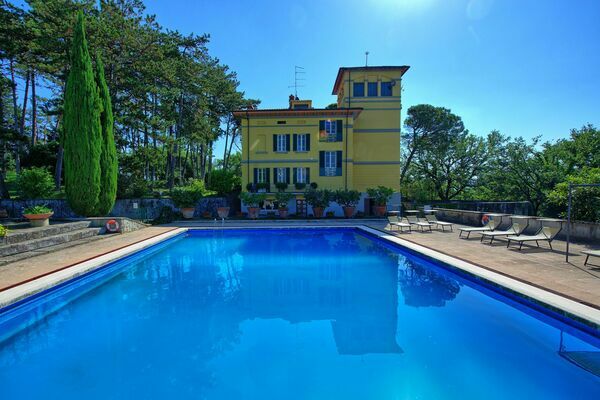 TO SLEEP 12: VILLA CUCULO Large elegant villa with private tennis court, private pool. 6 bedrooms, 4 bathrooms. 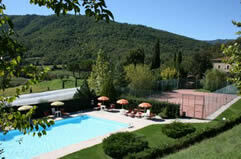 Just 1 km from the village of Patrignone (with bar), Tuscany. Billiard table. Fans in all bedrooms. Free wifi. Availability. 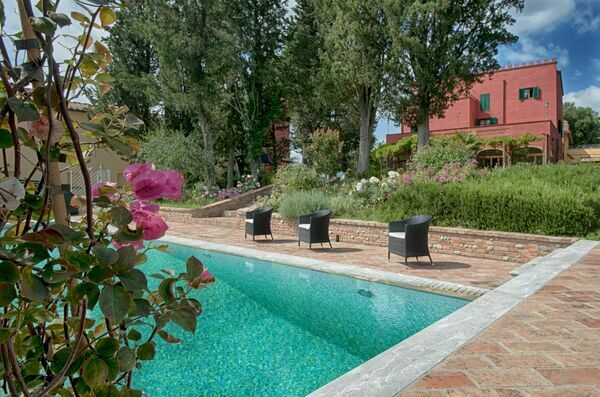 TO SLEEP 12: LA POGGETTA Private villa with private tennis court, private pool. Court can also be used for basketball and volleyball. 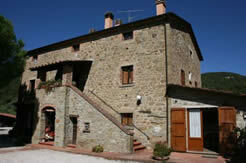 1 km walk to the small town of Cavriglia in Tuscany, with shops, restaurants, bus stop etc. Rental prices from Euro 1980 per week. Photo Gallery. TO SLEEP 13: BORGIA CASTLE. 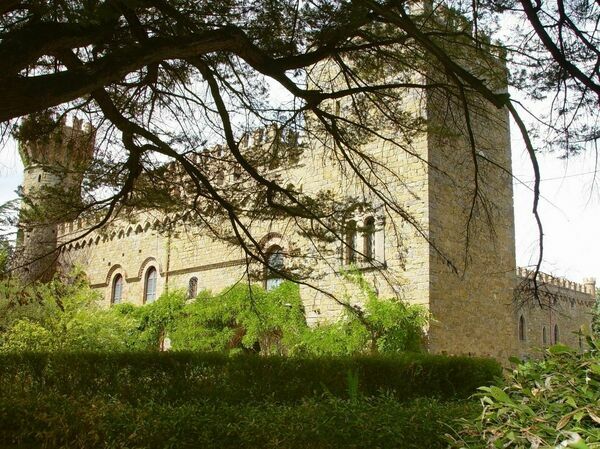 Fairytale medieval castle, once owned by the notorious Borgia family. tuscany / Umbria border area on the shores of Lake Trasimeno. Private pool. 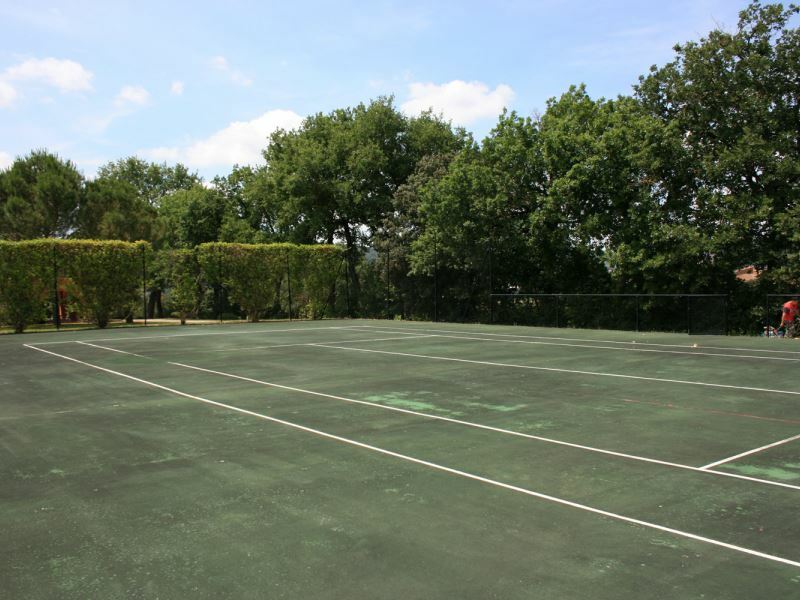 Private tennis court. Ideal romantic wedding venue. 7 bedrooms , 6 bathrooms. 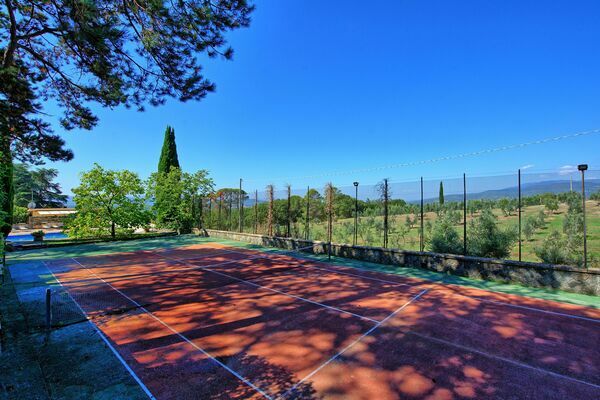 TO SLEEP 14: CASA BELLA Private villa with private tennis court, fenced private pool. Outdoor jacuzzi. Near Torrita di Siena, Tuscany. Rental prices from Euro 1790 per week. Photo Gallery. 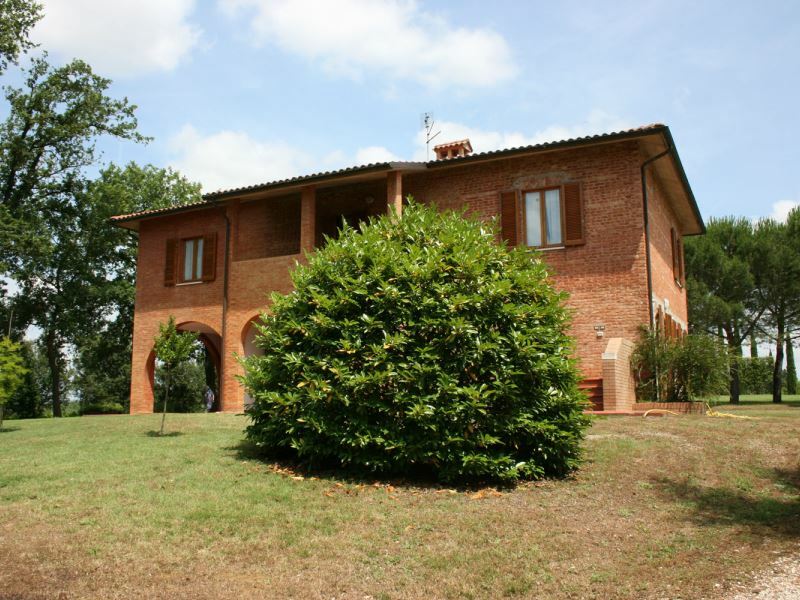 TO SLEEP 16: CASA BELLA, as above, plus with the use of a 1 bedroom cottage in the grounds. 8 bedrooms, 7 bathrooms. 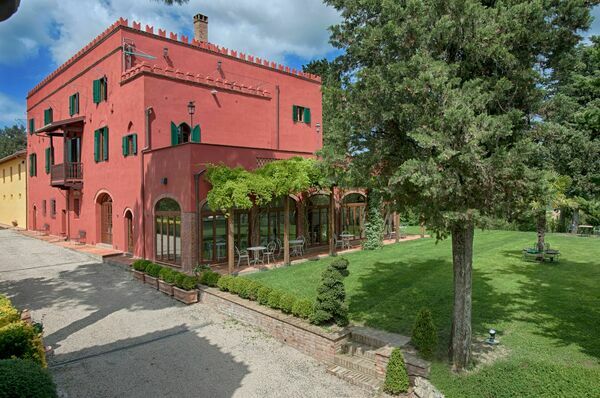 Tenuta Cambiano, near Castelfiorentino, Tuscany. MULTIPLE UNIT PROPERTY: 4 apartments. Sleeps 17. Private pool. 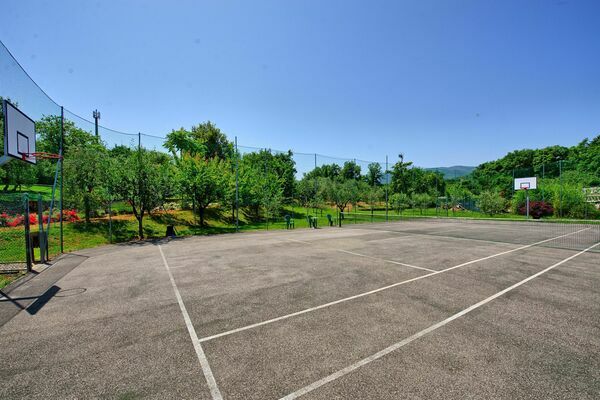 Private tennis court / football pitch at 50m. The rental is composed of 4 self-contained units which are not internally connected and also offers a beautiful communal living space with a cinema area, pool table, a large fireplace, a small kitchen and a children’s playroom with toys. Fully equipped gym, sauna. 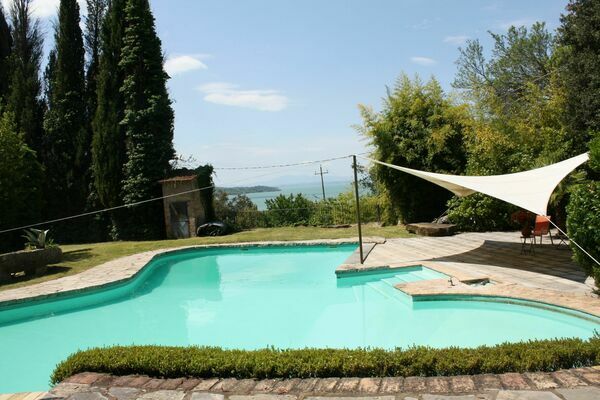 Private villa sleeps 18 with private tennis court, private pool and children’s pool. Table tennis. Table football. Cortona area, Tuscany. Rental prices from Euro 1250 per week. Photo Gallery. Near Monte san Savino, Tuscany. 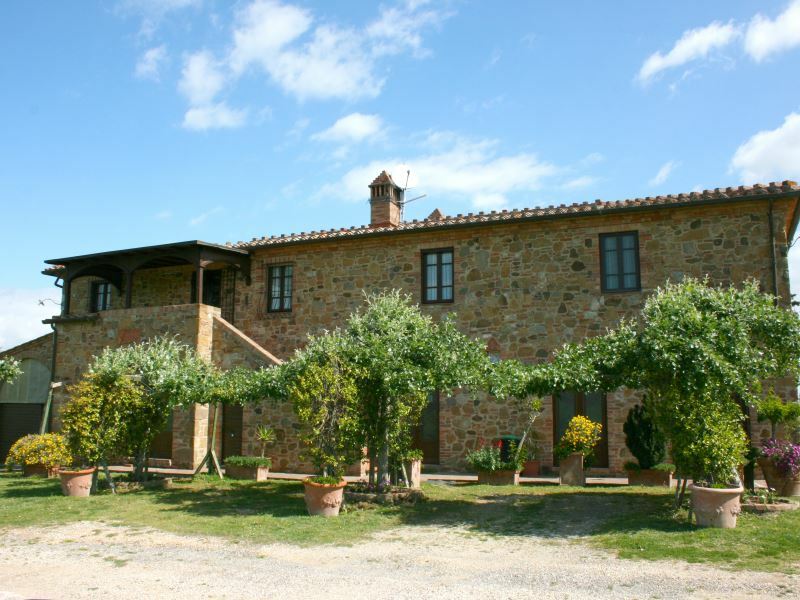 Typical Tuscan farm surrounded by olive groves and vineyards. 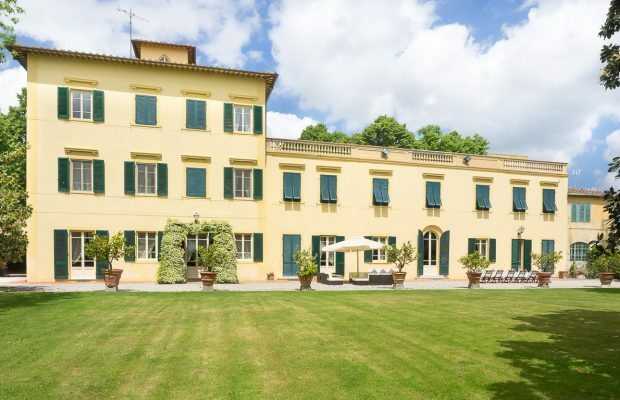 VILLA RAVANO, near San Giuliano Terme . Walk to town. 500m walk from bus station, 1.5km walk from railway station. 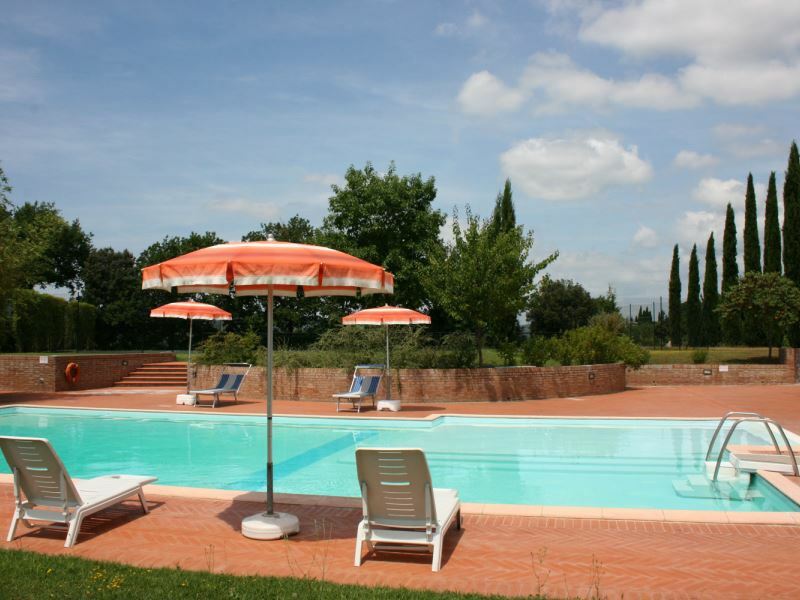 10km from Pisa airport. Sleeps 20 – 36 people in 16 bedrooms. Private swimming pool. Games room with billiards and table football. Piano. Bicycles. Table tennis. 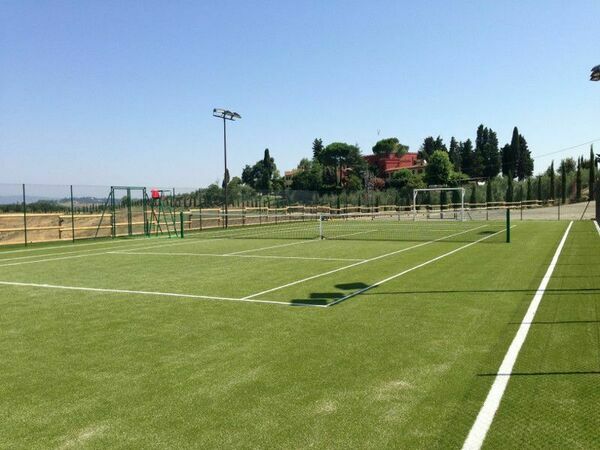 Tennis court. Football pitch. Wifi. Garden / lawns. 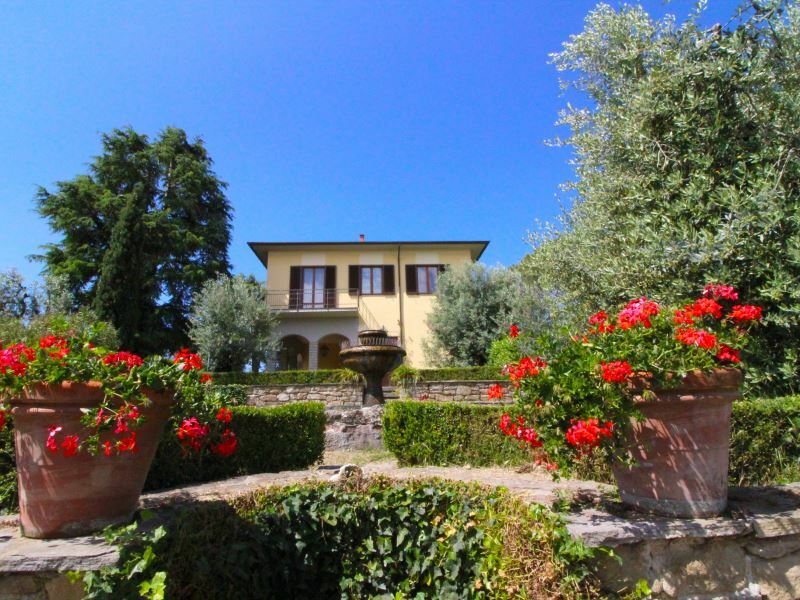 Villa Ravano – Prices on request.